← Versace at Taipei 101 – UNITY. COURAGE. LOYALTY. LOVE. 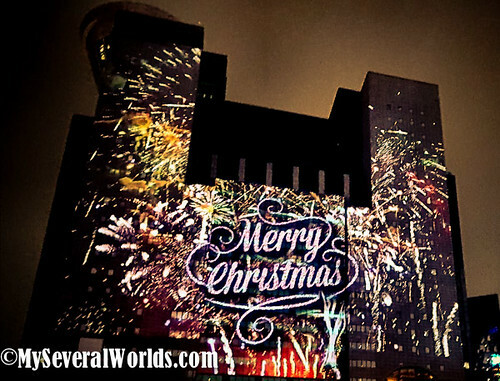 I started writing about the Banqiao Christmas light show in 2012. 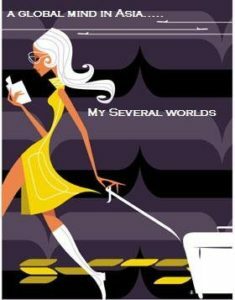 We’ve been every year since it started, although I haven’t written about it much over the years. I guess the point was to enjoy the show, not keep updates on it. 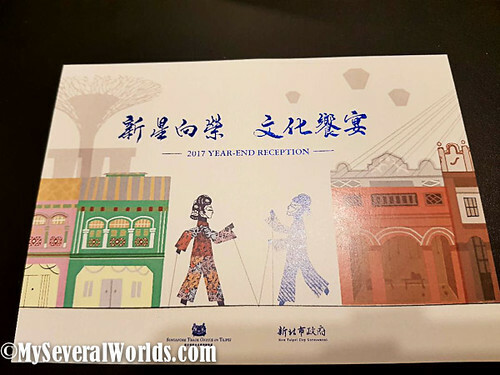 2017 deserves an update, though, and this is for two reasons: It is our fifth year attending and this was the second year we were invited on behalf of the New Taipei City Government. 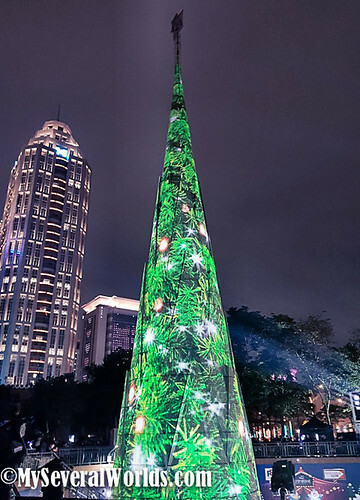 This year’s light show, which New Taipei is now referring to as Christmasland, lasts for 39 days with a number of different activities to get guests in the holiday mood. I’ve never been prouder to live in Banqiao. There really isn’t anything else like it in Taiwan that I’ve seen. It beats Taipei’s Xinyi District hands-down. In the past two years, Banqiao has hosted a ‘kick-off’ party each year called the Year-End Reception. 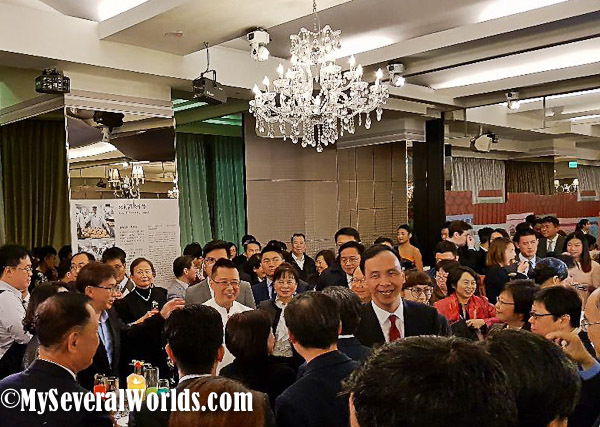 The party is hosted by the New Taipei City Mayor, Dr. Eric Lilun Chu. 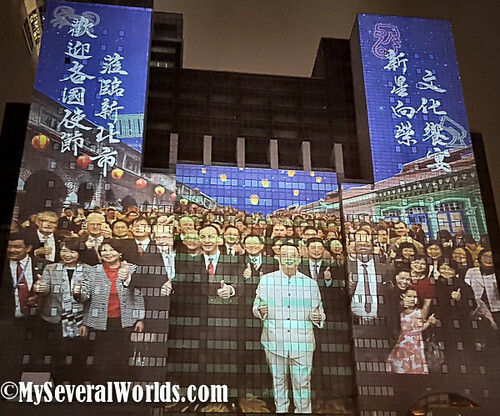 This year, the Singapore Trade Office in Taipei was an event host for the reception and opening light show. 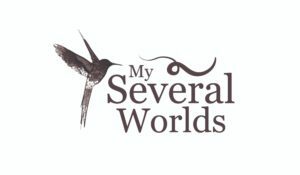 Their representative, Mr. Simon Wong Wei Kuen can be seen in my photos dressed in white. Simon was charming. He insisted everyone call him Simon and he made sure he met all the guests at the reception. It was nice to meet him and learn a little more about what he does here. 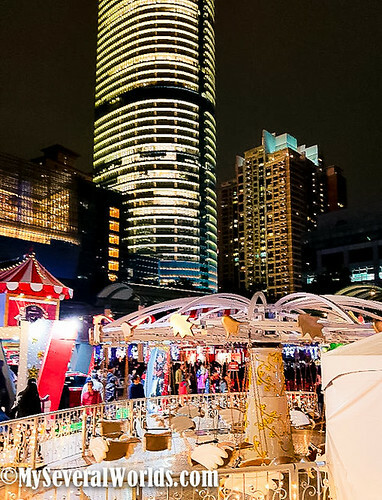 In the last seven years, the Taipei Main Station area has changed dramatically, and it was in 2012 that we took a stroll – an hour long walk – from our home to Banqiao Main Station to see the Christmas light show. 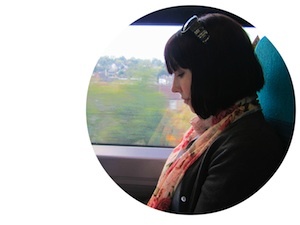 Each year we’ve continued to go and be impressed by the never-ending changes this city is seeing. Over the past four years, I’ve been volunteering my time with the Canadian Chamber of Commerce in Taiwan. 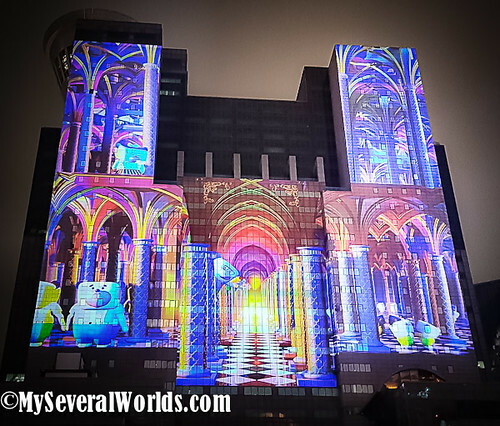 The last two years, I’ve been invited to some rather unique events because of my work with the Chamber, and I’ve been able to witness a different side of the Banqiao Christmas Light Show. Christmasland kicked off on November 24, 2017 with the city reception for it on December 5, 2017, which is what we attended this year. The entire event ends on January 1, 2018, so this is your last warning to get there before all of it is pulled down. 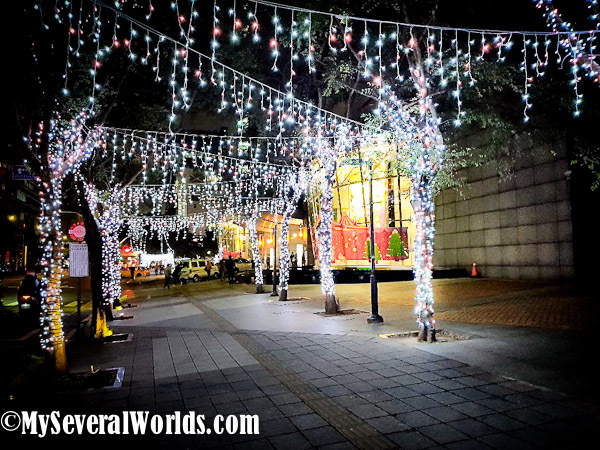 The Sparkling Lantern Area in front of the New Station features dancing Christmas lights that have been expanded to all four areas I mentioned above, so visitors will see twinkling lights everywhere, a Santa Bear stage and a glittering Christmas tree. A favorite among children, Poporo the Little Penguin brings his Arctic homeland to Taiwan for children to enjoy. You’ll also see a diverse range of children’s cartoons, including: Cheburashka, Poli, Pororo, and Tayo. These characters lead children through various interactive activities with storytelling, singing, dancing, gift giveaways and photo booths. Christmasland is a land that everyone of any age can enjoy. 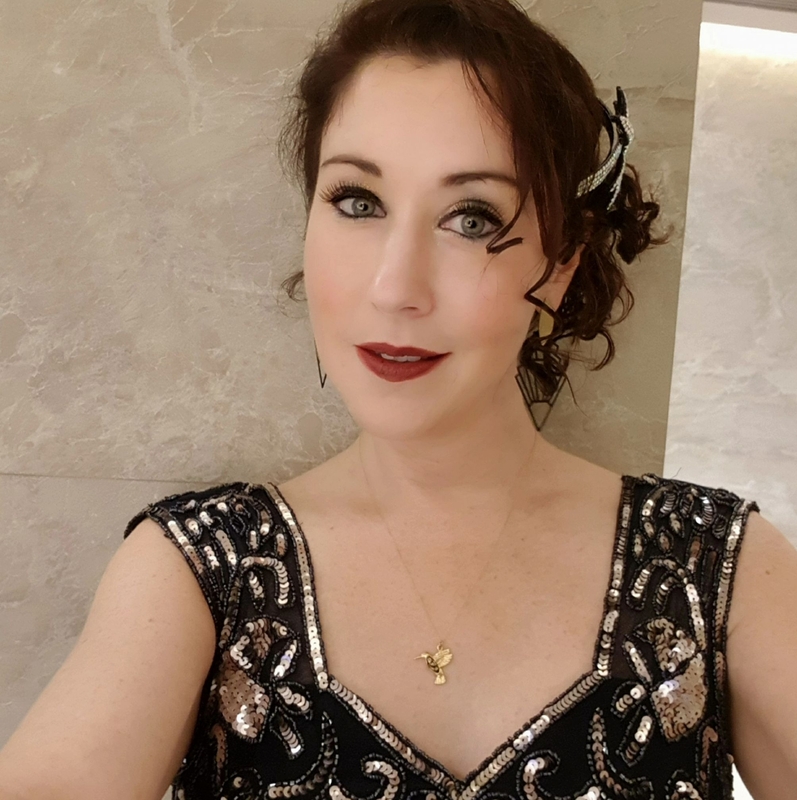 As long term residents of Banqiao, New Taipei – we have lived here for over a decade – we’ve witnessed a lot of changes here. When John and I first moved here in 2006, Banqiao, or as I like to refer to it, the ‘Ciao, was known as the ‘ghetto of New Taipei’. 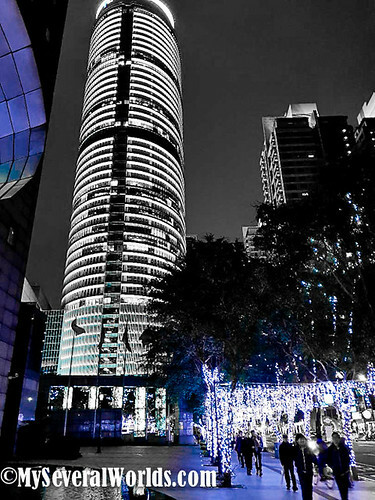 Thanks to the city’s efforts, Banqiao has been upgraded and turned into an upscale city that is simply gorgeous. It’s every bit as nice as Xinyi near Taipei 101 and it’s much closer for us – just a 10-minute taxi ride away. 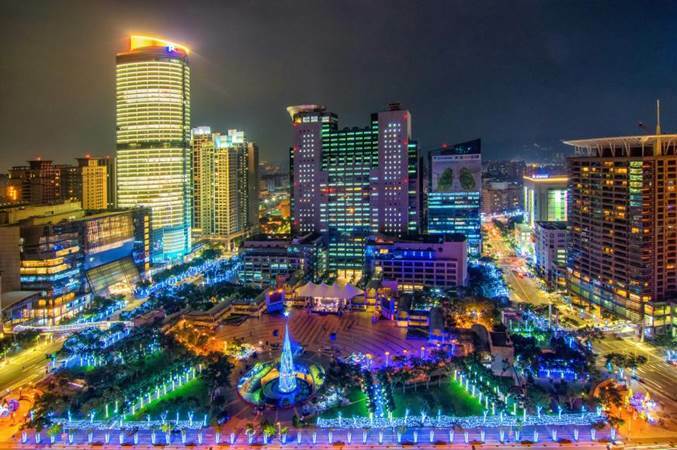 Back when the Christmas light show first started, John and I used to walk from our building on the Dahan River to Banqiao Main Station to see all the lights. These past two years we’ve cabbed to the year-end party to avoid me having to walk. This allowed me to save energy to snack on some of the delicious traditional delights inside the reception. While downing a few Singapore beers, we munched our way through some tasty Taiwanese munchies, and as all this was happening, we saw new faces and old coming in to join the festive holiday spirit. 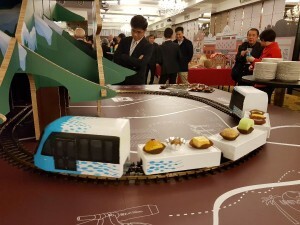 There were lots of activities for kids, and the miniature MRT system that went around a train track carrying desserts was a huge fan with kids and adults alike. Here, we can see the hosts of the evening: Mr. Simon Wong Wei Kuen from the Singapore Trade Office in Taipei is on the left and New Taipei City Mayor, Dr. Eric Lilun Chu is on the right. We had several toasts for the year and for the city’s success. 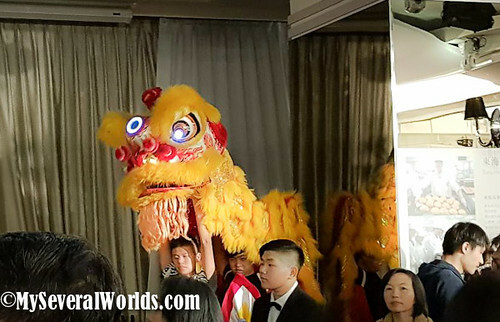 Mr. Kuen and Mr. Chu did an excellent job of meeting and greeting everyone at the reception. Unfortunately, over the past few years, I’ve not had the strength to wander around to see all the lights in this area. I feel fortunate that I’ve been invited to this party for the past two years because honestly, I wouldn’t be able to see it all if not for these invitations. Right after the reception, we were led all the way out to a special viewing area to watch the light show on the buildings and to watch the Christmas Tree light up like it does every year. 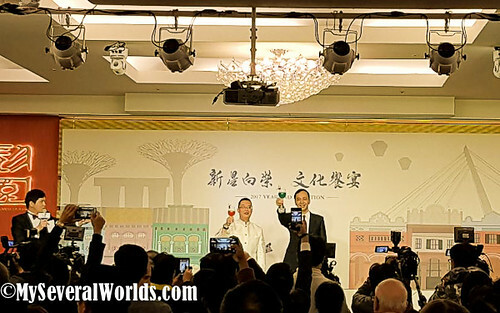 For me, this reception event and the being able to view the first lighting event of the year was a huge highlight for me, and I’d like to thank the city of New Taipei City for inviting us once again to join them and for the amazing featured photo that was provided from last year’s event in 2016, courtesy of the Taiwan Tourism Bureau. Taiwan always manages to set my heart on fire with something. I am always grateful for the love and support and inclusion we receive from friends here in Taiwan, near and far. Happy Holidays to all and best wishes from the Kellenberger Family to you for 2018. Taipei really a beautiful city. Only in Taipei can you find a bookstore that runs 24-hours. In particular, the Eslite Bookstore Dunnan has all the books that you can think of and is open to customers 24 hours.